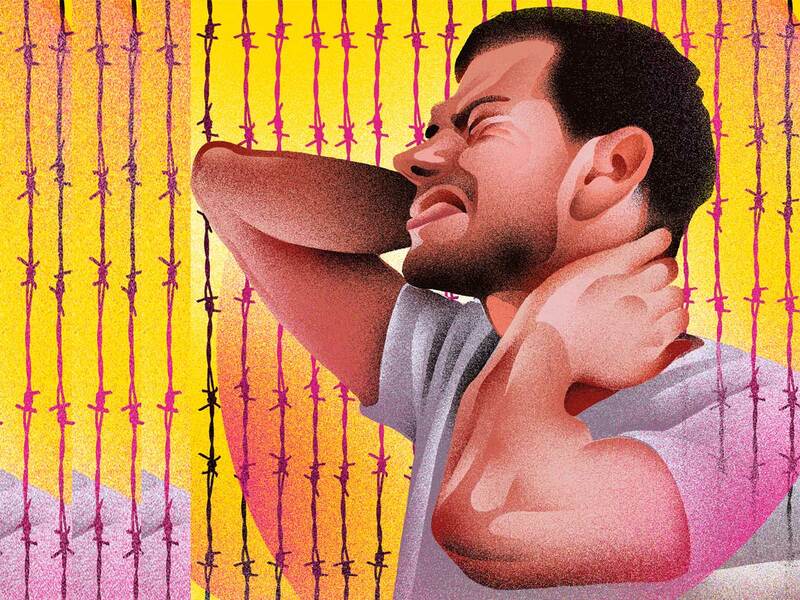 In the 19th century, the secularisation of western society led to the secularisation of pain. It was no longer a passion to be endured but a sensation to be quashed. The concept of pain as a purely physical phenomenon reached its zenith in the 1990s, when medical organisations such as the American Pain Society and the Department of Veterans Affairs succeeded in having pain designated a “fifth vital sign,” alongside blood pressure, temperature and breathing and heart rate. Decades of research suggests that opiates provide little to no benefit for chronic non-cancer pain. One recent randomised trial of people with chronic joint and back pain showed that patients using opioids experienced slightly more pain compared with those using medications like acetaminophen and ibuprofen. The sensation of itchiness, which is perceived by some of the same skin receptors that are on the lookout for pain, may seem like a purely physical phenomenon, but it’s not. Just seeing someone else scratch, or thinking about feeling ticklish, can make you itchy, too. Like pain, it can be alleviated through distraction. And like pain, it is closely linked to mental health disorders such as depression and obsessive compulsive disorder. In the meantime, there is plenty we can do to address the pain epidemic. For too long the pharmaceutical industry has blurred our vision. It was just revealed in court filings that drug companies greatly underplayed the risks of opioids, while billions of dollars in marketing told people that pills were the only answer to their ailments. Pain management should continue to be emphasised in medical education, but future doctors should be taught that pain is part of the story of the person who suffers from it, not just a separate physical phenomenon. And this education should incorporate ways to avoid prescribing opioids for chronic use. If chronic pain is as much an emotion as a sensation, then it is unlikely to be managed successfully without compassion. A 2017 study of doctors in Spain found that those whose patients rated them as empathetic were more effective at relieving their patients’ pain. Physical therapy that doesn’t just manipulate joints but also addresses the context pain comes alive in, encourages optimism and builds emotional resilience has been found to be more effective. Back in medical school, I dislocated a disc in my back. In a snap, pain became my constant companion: It was the last thing I felt before I slept, the first feeling I had when I woke up. Unable to leave my dorm, I fell into a dark hole. I looked fine on the outside but was moth-eaten on the inside. I was adamant that I would avoid painkillers, especially opioids. I had no idea about the science that would emerge over the next few years. I felt that the pain was my body’s way of telling me that something was wrong, and I didn’t want to silence that voice with a temporary fix. What pulled me out after almost a year of agony was not just rigorous physical therapy that moulded my spine back into shape but also the kindness of my friends, my family and my future wife. When I see a patient with chronic pain, I try to see that person through the eyes of my younger self. When someone experiences chronic pain, there is no way to quantify it — no blood test to draw, no imaging test to order. It requires physicians to practise medicine the way it was long before the discovery of morphine. In essence, it represents the purest of medical encounters, and an opportunity, if not to cure, then to heal.